TourUC encompasses two iOS applications. 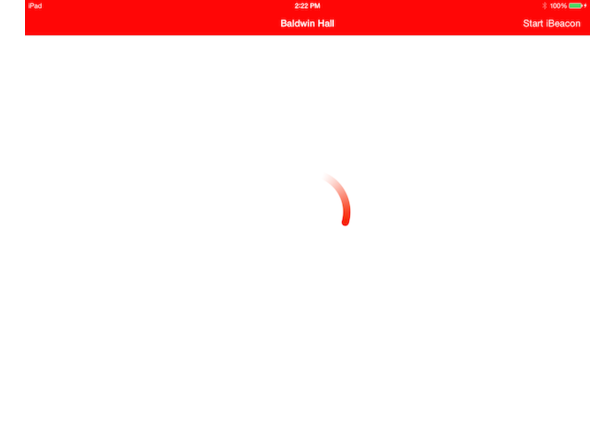 One acts as a bluetooth low energy transmitter(iBeacon) and the other is the client application that responds to notifications from the iBeacon. 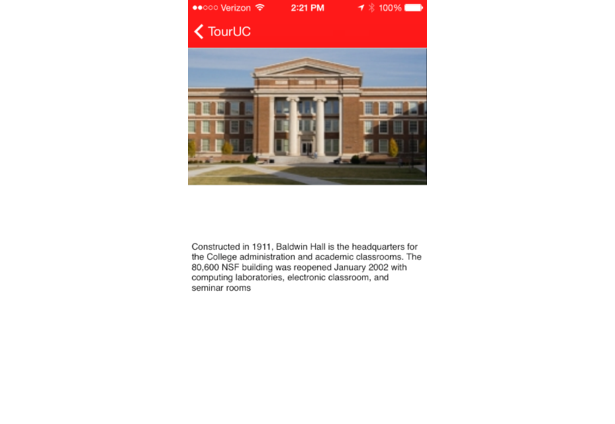 The iBeacon currently advertises itself as either Baldwin Hall or UC Pavilion. When the client application is in range, it receives a welcome notification and shows the user an introductory video about the building and the departments within it. The client app also sends out a tweet to Twitter. While the tweet currently isn't very engaging, I envision users being able to start a social conversation revolving around activities within each building on campus. 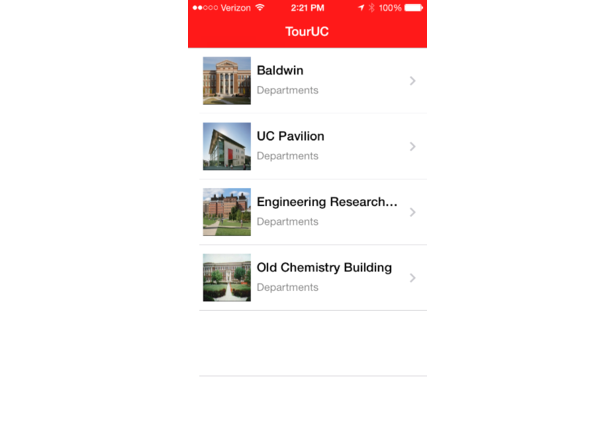 This application will also increase engagement for prospective students and their parents when they visit UC. For demo purposes, I'll be using my iPad as an iBeacon, but specialized devices can be purchased and placed throughout the campus. These devices are small and easily hidden, and thanks to the efficiency of Bluetooth LE they have 1-2 year battery life. Comments for this submission are closed. View the software in perryao's portfolio to continue the conversation.